Here are three pictures. I have checked every Maxwell manual I can find here on the interwebs but none of them look like this. Surely I can't have the only 1999 36 MKII with this windlass. I have the same model C36 1999 and here is the manual for the windlass. You can verify the model by removing the boards at the V-birth and checking the its tag. I also have a 1999 with the same windlass (but a different manual! - from 2002)... mine is known at the "Freedom 800" model - tried to attach the file to this message, but unfortunately it exceeds the 2 Mb file size limit. You can probably download it from the Maxwell website. I've also changed the oil in the motor once. Got a question for you... and anyone else reading this thread who may have insight. I also have the Freedom 800 windlass w/ capstan on my MKII (1836). I purchased my boat two and half years ago and quickly learned that I could not release the chain to drop the anchor. I could wind it down with a winch handle, but that's not efficient to say the least. 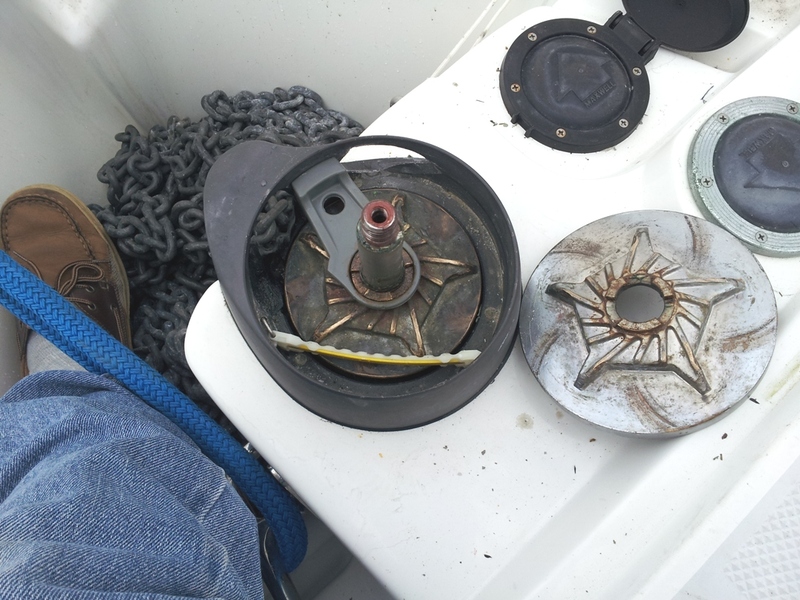 When I contacted the PO about it, he told me he'd never used the anchor... and he owned the boat for 12 years! Most likely, he never serviced the windlass. So, I've got the manual, followed all the instructions and can't get the clutch to release, nor can I take the winch apart to lubricate / service it. I assume that it's just fused together by years of salt and not being taken care of (visually, it looks great -- topside and finishes have been well cared for). 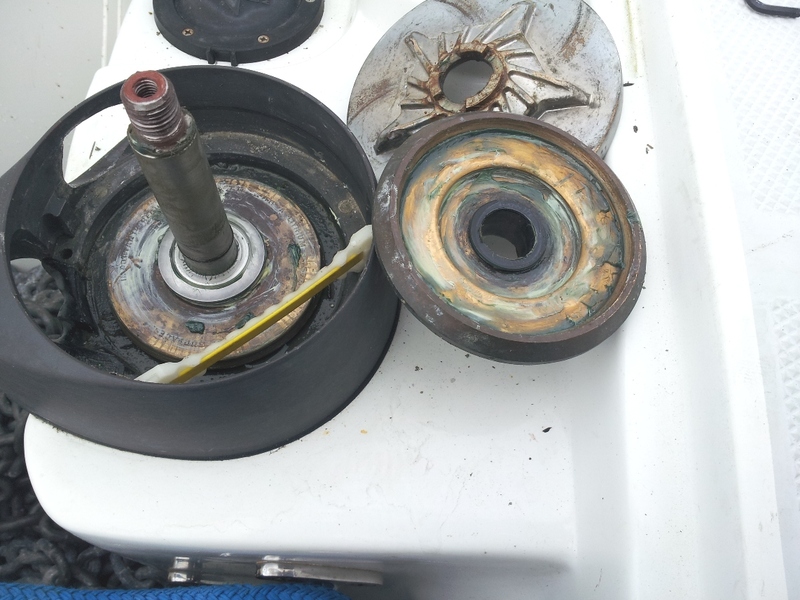 So, before I give up and just get a new windlass, I wanted to make sure I'm doing what you do to take it apart: I use a winch handle to loosen and remove the clutch nut from the top of the capstan. 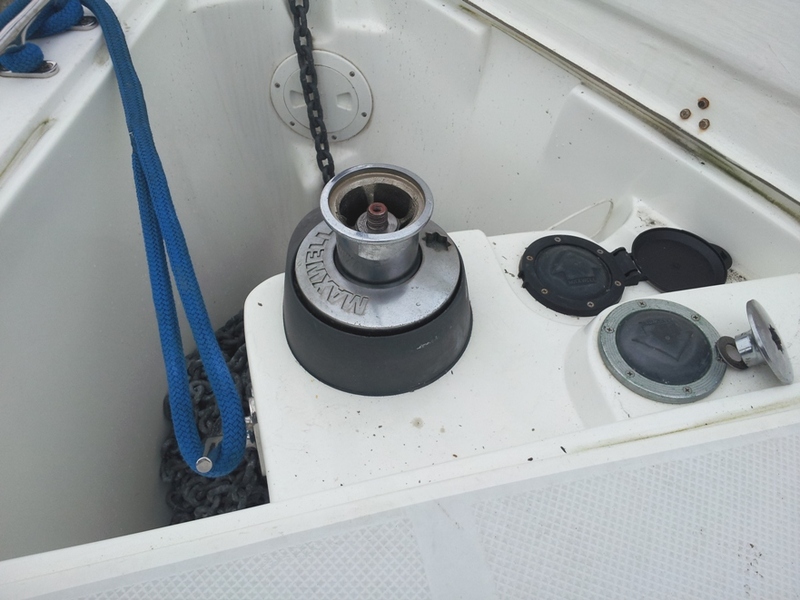 I remove the bolt and washer holding the capstan on the top of the winch... then I can't pull the capstan off. I've tried using a large screw driver to gently separate the chain wheels, I've let it soak in PB Blaster to try to loosen things up, I even used a high power heat gun, but I can't seem to take it apart. Just wondering how easily yours disassembles and if I'm overlooking something in my approach. I assume that you have the chain/rope out? The pressure arm may be binding or the shaft collar seized on - keep at it, wiggling and turning and gently prying - it will eventually slide up and out. Yep, you pretty much described the process I tried, but perhaps I didn't stick with the gentle prying long enough, or perhaps was a little too gentle for fear I'd break something. I'll have another go... I figure even if I break something I'm no worse off than I am now! Jake Z This attachment may help you in maintaining your windlass. Unfortunately a different winch assembly than the "Freedom 800".. I had the same issue about the chain wheel. I was able to break mine loose from the clutch assembly by using a screw driver and working it in and then prying it off. After cleaning the surfaces and using wheel bearing grease, works great. The 2 chain wheel halves are held together by the snap bushing. You do not want to break that as you then need to replace it which isn't that easy. You really do not need the pressure arm, especially if you have all chain. It's purpose is to keep a rope rode against the mindless until the chain enters the mindless. You can always help the rope rode through until the chain comes up. That's the same one I had on my boat - Freedom 800. There is a pdf manual on their site - If I remember correctly, you have to look in their archive. I replaced my with the Maxwell RC/8 (I think it was the RC8). It fits right into the same space. Easy retrofit.